It is a fact that the general public loves performing animals in unique situations. 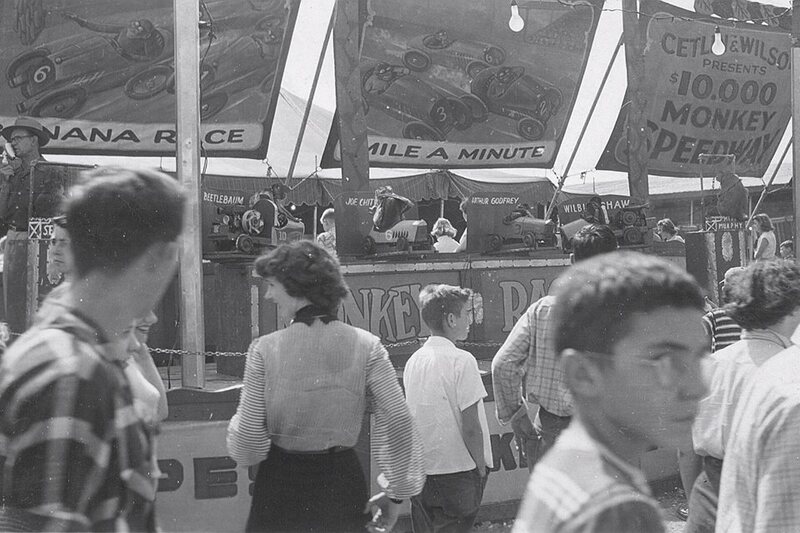 This may explain the great popularity of the “Monkey Speedway“. 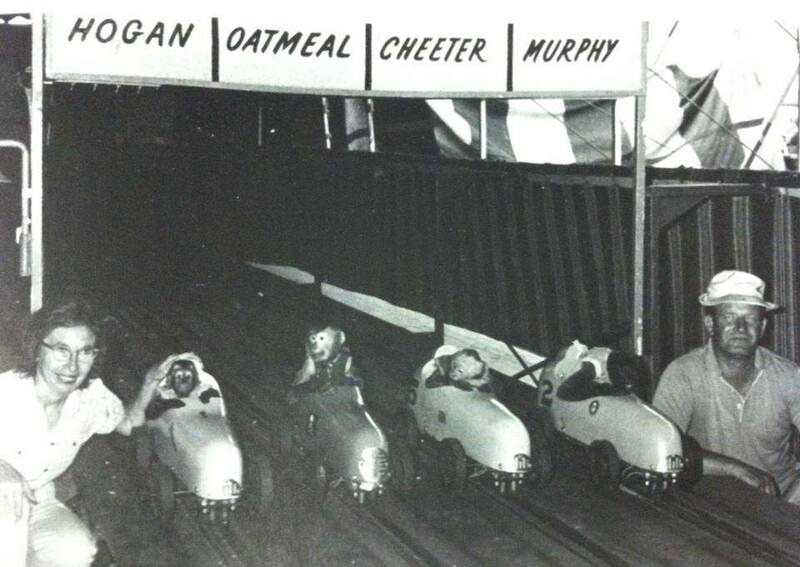 Monkeys sat in specially designed minature cars that ran on beveled wheels on a roller coaster type gravity track. The races were quite lively, with everyone rooting and cheering for their particular favorite and the small creatures were a real crowd pleaser. Some monkeys were actually trained to operate small gasoline engine powered cars. Their driving skills left much to be desired and they would bump and crash into each other to the absolute delight of the crowd. Just dealing with monkeys is not for the timid. They bite like crocodiles, stink and are generally vile and nasty creatures. But there were people, like the legendary Harry and Bee Fee, that loved them and these people featured them in one of the liveliest acts on the midway. Sadly, today, none of these shows are still around. It’s important to note that these monkeys were never harmed or injured in any way, quite the opposite. Once trained to perform, they became a valuable commodity and were very well fed and treated and lived to a ripe old age . But despite this, the ignorance of animal rights activist have sounded the death knell for all types of shows involving performing animals on a carnival midway.